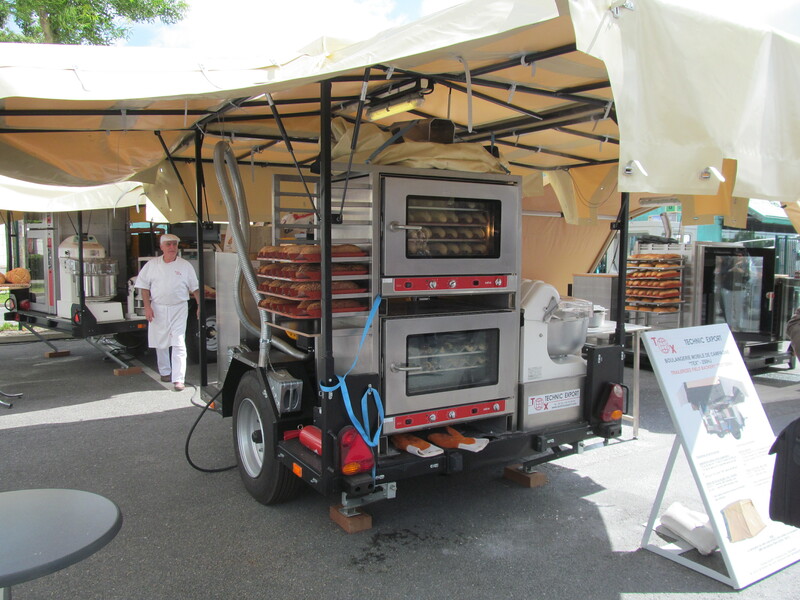 Some at Eurosatory may have seen and even tasted the product of the Tex Mobile boulangerie field kitchen from Technic Export! Would it surprise anyone to see one of these units in the field? Of course not, this is the French Army, and if the Brits can take their tea brewing kit into battle for an early morning cuppa, then the French can have their baguettes at dawn! They have a range of units offering different levels of bread making capability from unit to brigade level from the Tex 250 HJ that goes on a 2-ton trailer providing an output per day ‘in crisis situations’ of 6,000 individual loaves 24/7. Amazing. The largest unit – the Tex 10,000 HJ can feed a small city state and is fitted on five 4×4 trucks in 20ft containers with an output per day again ‘in crisis situations’ of 80,000 individual loaves. This ensures that France will never be short of a baguette in an emergency.